At the present time, we have not yet put up our collection of family crest jewelry for the name Amidas. In the meantime, we are pleased to show this same piece as it would be engraved for Armstrong. 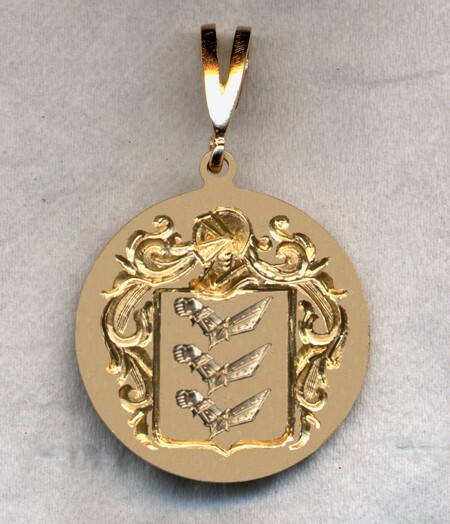 If you do not already know what your family crest looks like, and would like to see what it looks like as fine family crest jewelry, just send us an e-mail and we will be glad to look it up and e-mail it to you as soon as possible.